Thank you for helping Mia. Can I donate by cheque or deposit? Cheques can be made out to ‘Mia Wilkinson Trust – Necessitous Circumstances Fund’ and sent to PO Box 249, Grange, Queensland, Australia, 4051. 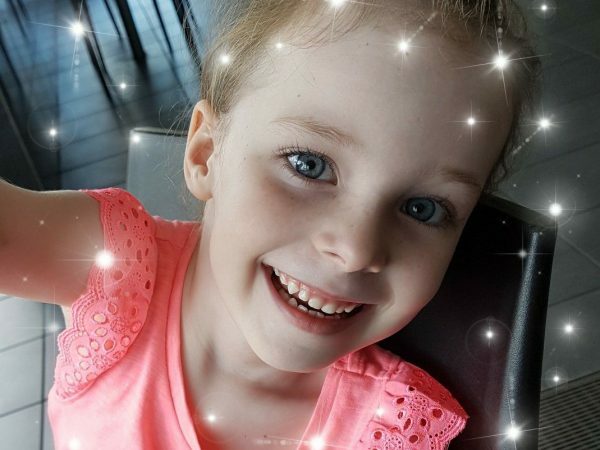 The Mia Wilkinson Trust – Necessitous Circumstances Fund has been set up to raise funds for expensive prosthetics, lifelong medical treatments and equipment. Mia faces significant expenses with her prosthetics. They range in cost from $8,000 to $20,000 for each leg and $6,000 to $100,000 for each arm. The average lifespan of a prosthetic is just three years, however as Mia grows they may need to be replaced more often. Without high quality prosthetics, Mia’s journey will be difficult.Donations are tax deductible and your gift will give Mia the hands she needs to paint pictures, the legs she needs to walk through the park, the care she needs to thrive. Any amount, large or small, will make a difference in Mia’s life. How much of my donation will Mia receive? The Mia Wilkinson Trust – Necessitous Circumstances Fund was created with the sole purpose of helping Mia with the challenges she faces as a Sepsis survivor and quad amputee. No administration fees are charged and no one associated with the trust receives a salary or any other form of benefit for the time they spend helping Mia. Paypal and GiveNow charge a fee to process donations. This amount varies depending on card type but is under 2% per transaction.Donations made by cheque or direct deposit incur no fees at all. Thank you to everyone who has helped us manage during this difficult time. We are extremely grateful for the kindness shown by countless friends, family and strangers, near and far. Your support has meant more than you can imagine. Friends and family have cleaned our home, mowed our yard, brought us many delicious meals, cared for our children, sent us thoughtful messages and brightened our days in hospital with hugs, kisses, love, food, visits, flowers, balloons, gifts, chocolate, toys and artwork.